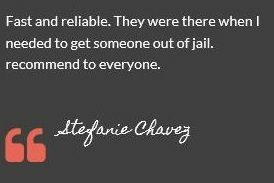 At AAA Garcia Bail Bonds, we work hard to help you get your loved one out of jail. Whether you are in jail for traffic tickets, warrants. DUI, or ANY other type of violation, our 24 hour bail bond service can help you. 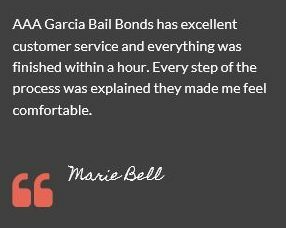 AAA Garcia Bail Bonds is well known for being one of the most professional and reliable bail bond service. Our company is licensed bonded, and insured. We will help walk you through the entire process to ensure everything is handled properly. We do not judge our clients. Everyone is innocent until proven guilty. AAA Garcia is a Family owned and operated business. We have 4 locations to assist you with all of your bonding needs. AAA Garcia Bail Bonds has a thorough understanding of the local court system, its policies and procedures.  We leverage our knowledge and experience to get clients the fastest release possible. 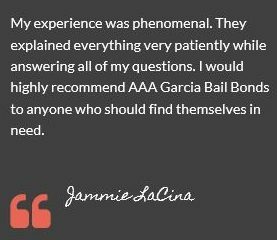 At AAA Garcia Bail Bonds we believe that helping our clients understand the arrest and bail process will alleviate some of the grief and confusion associated with incarceration of a friend or loved one. For this reason, our representatives are readily available to assist you.